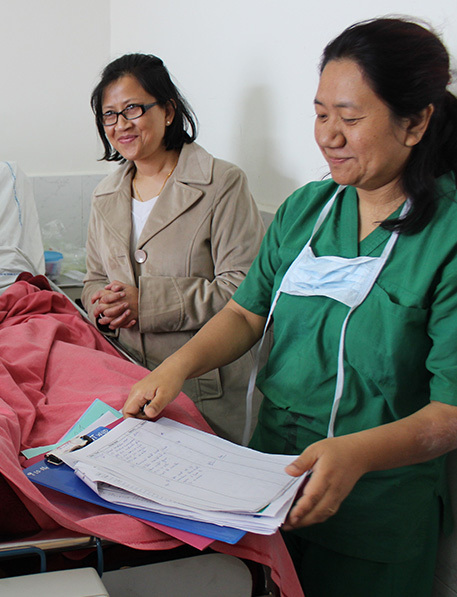 Bilshiba is an ICU ward nurse in Shillong and enjoys working with patients and providing emotional support. She carries out home visits in rural areas of Meghalaya and one patient’s story in particular stuck with her. The patient had a neck wound that went untreated and Bilshiba regularly visited to change the dressing. No relatives had come to visit so the patient’s mother was especially grateful for Bilshiba’s help. Without this palliative care centre, people have nothing. Here they get free morphine which they can’t get anywhere else, and they see a doctor for free which they can’t afford. Vincent is 57 years old and has been living with quadriplegic for 20 years. For Vincent, the greatest strain has been on his family, who are living below the poverty line. His illness has prevented him from providing a stable income to his family and he is conscious of the negative effect this may have for his children and their education. “I do not want my children to suffer because I am in such a condition. I want to be independent and let them be independent. I will work hard and prove that this is not the end of my life.” Vincent shows great courage in his commitment to a normal life for his family. The Physiotherapy Project has empowered him to lead a dignified life and in turn lifts the burden of worry for his family. 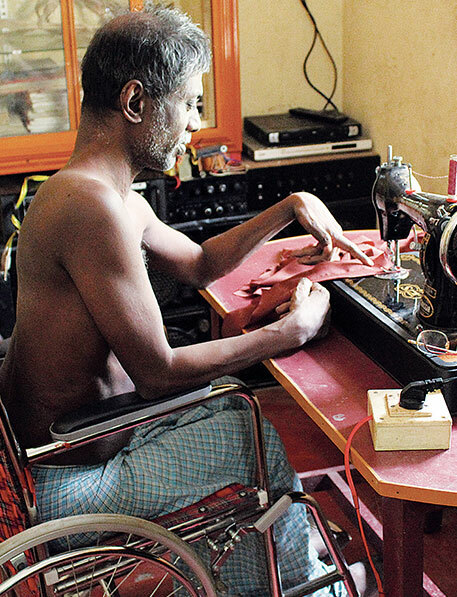 He has most recently benefitted from a sewing machine and plans to earn a living as a tailor. "I am so very happy to have your support during this tough time. The physiotherapy has really improved the hand swelling and reduced the pain. I am so thankful!" 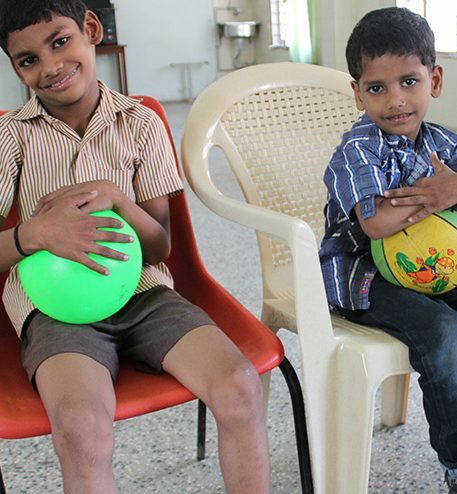 Altaf and Arif are both paraplegic and have been since birth. They receive physiotherapy on a regular basis from Pallium India and follow up with attendance at a weekly children’s clinic.Despite having cerebral malfunctions they have great hand eye coordination and high IQ levels so they are able to go to school which they love. The physiotherapy has shown gradual improvements in limb movements for both of them. They are a little hesitant but they can walk and run without support which will gradually improve week by week. Palliative care is essential for all terminally ill patients, regardless if they are rich or poor, it makes no difference. Twenty-six thousand people in India committed suicide last year for health related illness, the vast majority for pain. For every person who succeeds, there are 20 who fail, which shows the magnitude of the suffering.